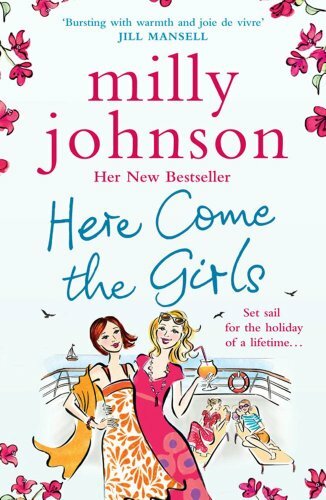 This is Milly Johnson doing what she does best - a fabulously entertaining holiday read! I've read all her previous books, but have never managed to write one up on here, so I'm putting that straight, right now! It's not deep and it won't change your life (unless it encourages you to be a cruise convert!) but it's well written and engaging and whilst I'm having a heavy time at work, this was brilliant light relief. Roz, Olive, Ven and Frankie were best friends at secondary school in Barnsley, dreaming of brilliant careers, huge salaries, big families and a fancy cruise for their fortieth birthday. Unfortunately, twenty five years later, real life hasn't turned out that way. Ven loses her job and her husband rips off half her inheritance. Olive is an unpaid skivvy for her scrounging husband and useless family. Roz has become bitter and unable to trust people after being let down by her unfaithful husband and had a huge falling out with Frankie, who on the surface seems to be the only one doing alright. Just before her fortieth birthday, Ven wins a fabulous all expenses paid cruise and drags her friends along...can a luxury cruise fix all their problems? Is this top class chick-lit? Of course, it will! There's not a lot else to add. Okay, there were no surprises and like all readers I sussed the "issues" and exactly where it was all going, but that doesn't detract from an enjoyable, escapist read!